A former doctor at the VA speaks about ongoing issues in providing quality emergency health care for veterans in Southern Nevada. We continue to hear from veterans who say they're still seeing delays, navigating seemingly endless red tape and dealing with countless referrals. Now, a recently retired doctor and former soldier is speaking exclusively to Action News about what he calls broken promises. In case you missed it, you can watch part 1 of this story in the video player at the top of this page. 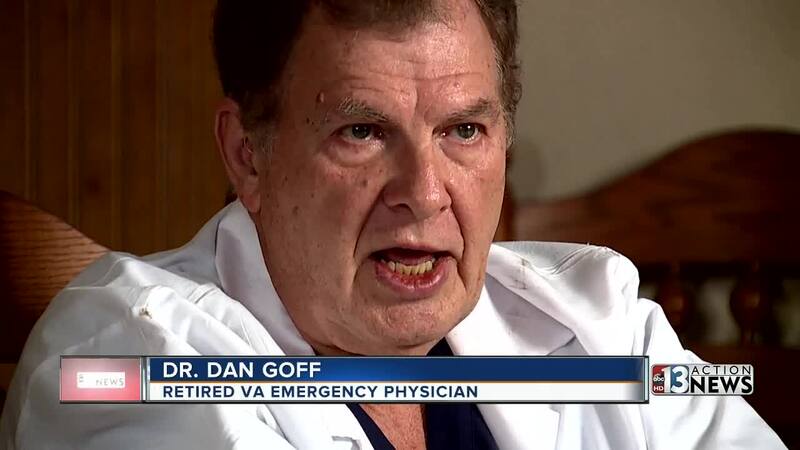 Dr. Dan Goff is a veteran with 13 years of active duty. An Army-trained physician, he was one of three doctors who first opened the emergency department at the VA Hospital in North Las Vegas. Prior to that he was the E.R. director at four hospitals and chief of staff at one. 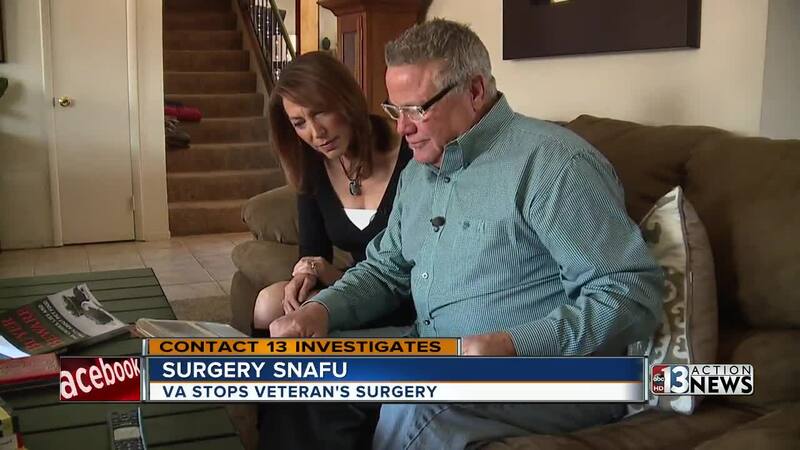 He says the VA should be providing the best care anywhere, but that hasn't been his experience with the VA.
"Delayed access of care and limited access of care is a violation of the promise that they made to us," Goff said. Dr. Goff has taken his concerns about the Southern Nevada VA all the way up to the inspector general. His chief complaint is that veterans were routinely transferred into the community for care they should have received in the VA.
"When they put that rifle in your hand and said 'go face the enemy' you didn't say, 'well, you know, let me transfer the enemy somewhere else.' You went out and you held that rifle. The promise was, for doing that, we'll take care of you. Well they're not doing it. Well, why not?" Dr. Goff told us that transferring the patient became the mantra. To find out more we spoke with the current emergency department director at the VA.
"That is not routine. Most of our veterans who require transfer at times, it's for a higher level of care or at times when we don't have beds available within our facility," according to Dr. Marianna Coggins, VA Emergency Department Director. Dr. Goff gave examples of how the VA transfers patients. "Why do we have to transfer somebody for a GI problem?. Why do we have to transfer somebody for urology problems on the weekend?" According to Dr. Coggins, "It depends on the service. Some of these specialty services may have very limited staff." Dr. Coggins says the Southern Nevada VA's emergency department had 38,000 visits last year and the 5th busiest in the country. Goff thinks that's because it's overloaded with patients who can't get care at other VA facilities. "Had a patient come to the hospital that had a one-inch laceration on the hand. One inch. 'Why are you here?' I went to my clinic. They told me they don't do lacerations," Goff added. But Coggins told us that any veteran is welcome in the VA emergency room for any reason. "I never think someone does not belong here. If they're presenting here, they're presenting for care and it's my job to provide it." When the VA first opened they only had three emergency doctors on staff but since the expansion, it's now literally five times that. And while that has significantly helped cut down on delays in care, there are still some needs. For example, they don't take ambulances and there's a shortage of specialists. "The availability of specialty care is not solely a VA issue. This is a challenge that we face within our state. We try to really increase our recruitment efforts. It's very competitive, many specialties, including emergency medicine physicians," Coggins added. But for Dr. Goff, it all comes back to one thing. "This is the VA. Where's that promise?" The VA emergency department has recently implemented a virtual bed program so they can care for and admit more veterans within their facility to reduce transfers to the community. Watch the Facebook live video with Darcy Spears answering viewer questions.